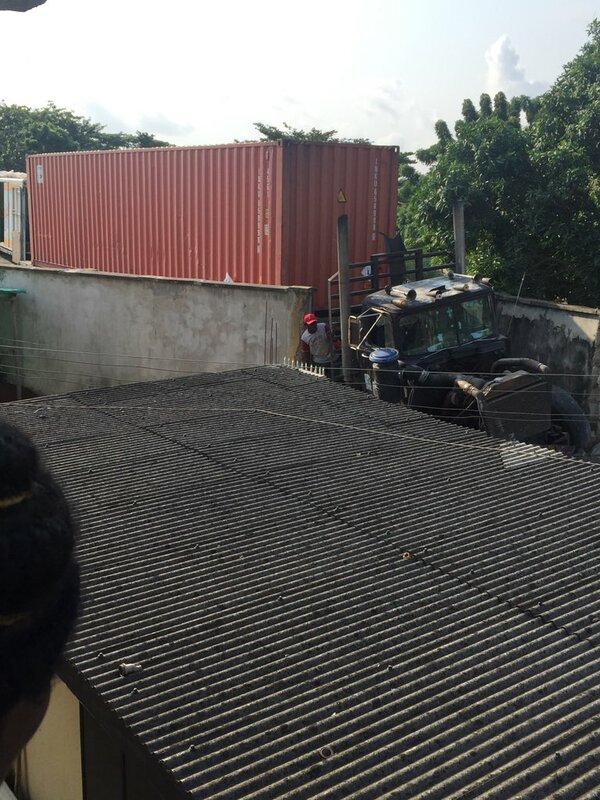 A Twitter user has taken to the platform to complain about trailers losing control and breaking into her compound. 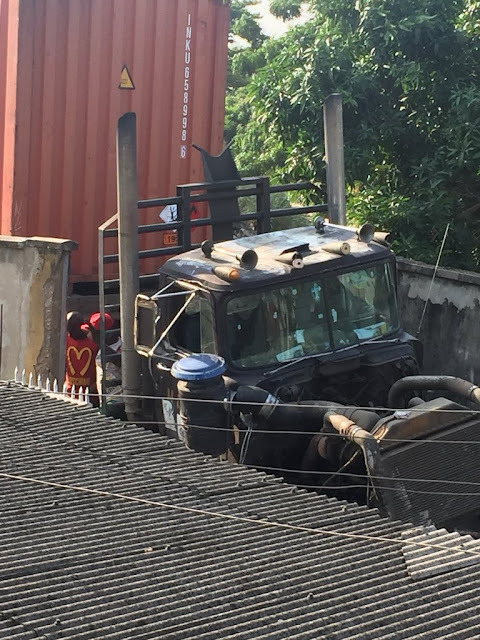 According to her, it happened sometime last year, and it has happened again yesterday. 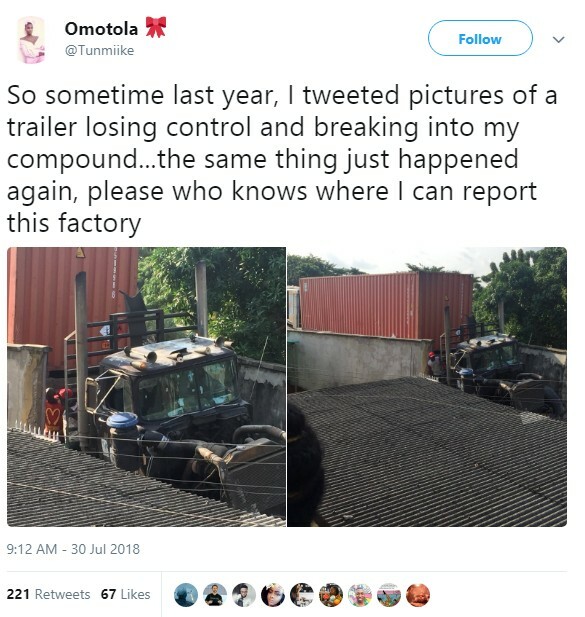 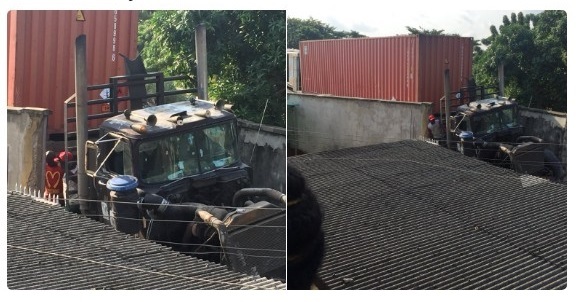 "So sometime last year, I tweeted pictures of a trailer losing control and breaking into my compound...the same thing just happened again, please who knows where I can report this factory"